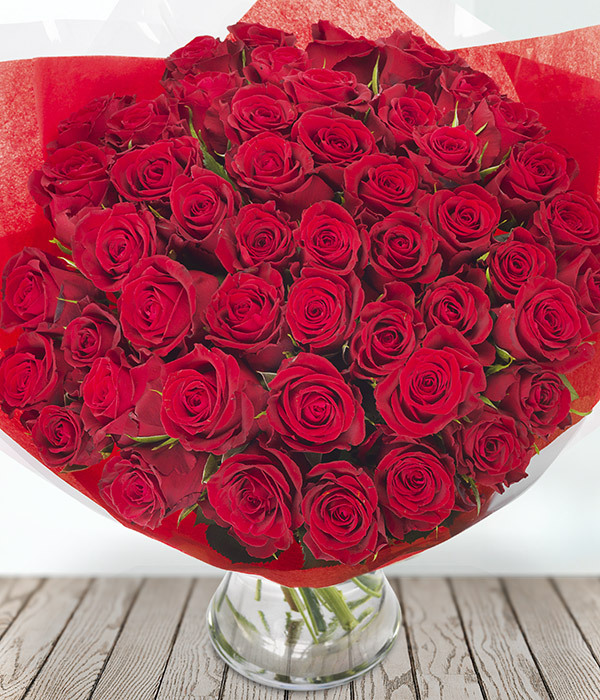 The ultimate declaration of love and devotion, a sumptuous bouquet of 50 Sweetheart red roses (40 cm), the ideal romantic gift. Delivered by courier. Flowers will be delivered in bud for freshness.